Glad to hear that: thanks! You should see the full package: it's even more alluring ;) However, it will be shown only when the game becomes available for purchase - in the meanwhile, have a look at the previous posts in this devlog to see some more previews. You'll be able to buy the game from the RGCD store. It should happen shortly, so keep an eye on here and/or follow the RETREAM Facebook page and Twitter channel. Hi there, my name is Simone Bevilacqua, but what you see here is "RETREAM" because that's my games label. I started programming at age 9 on a Commodore 64, and today I make games for... the Commodore 64! But I also love to make games for the Amiga ;) Moreover, I've made a few game for various PC systems - in retro style, of course. My games are very different from one another and, well, from anything else out there. 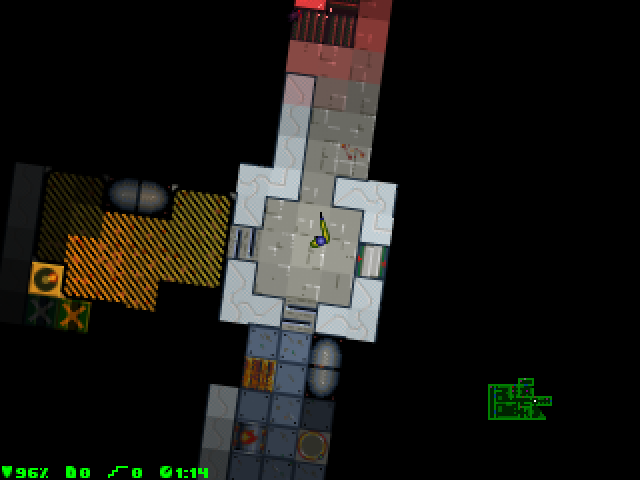 If you're curious, just head over to the RETREAM page here on itch.io and have a look. BOH community · Posted in What's your favourite mission? Lately Queen, the rock band, has conquered the world's attention with their Golden Globe-winning movie Bohemian Rhapsody. Now, has anyone ever noticed that MAH, somewhere, prints out an excerpt from The Prophet's Song (by coincidence, a song from A Night at the Opera, the same album that the song Bohemian Rhapsody is in)? ;) That's meant to be a wicked message that the Purifiers included in the ApocalypShield. Funny note: not even the publishers (RGCD and Protovision) knew about this! 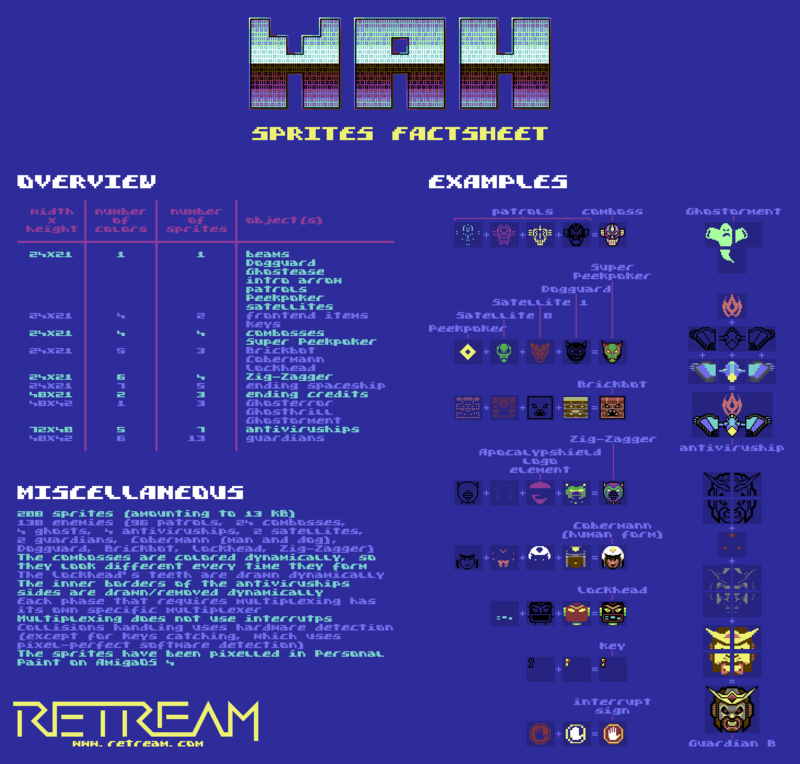 For the future, just please check out the documentation that comes with the game(s) you intend to share. The same goes for QUOD INIT EXIT: the download archive here contains both the end-user agreement and the manual - just include verbatim copies of those files. You can redistribute QUOD INIT EXIT provided that you don't make any direct or indirect profit out of it, you don't modify it in any way, and that you also provide the manual and the end-user agreement (both files are included in the download archive available here). Please note that QUOD INIT EXIT is the only game you can redistribute: KOG and MeMO are free, but for platforms you don't support (PC and Amiga), and the other games are commercial (i.e. not redistributable). This is a proper retro game for a proper retro computer (the Amiga), so it just has to come on floppies (all 2 of them)! 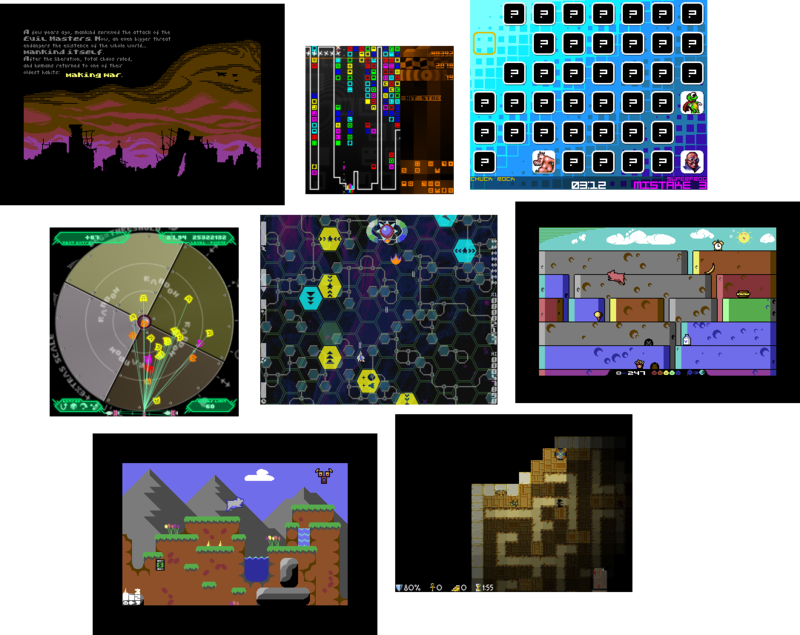 itch.io Community » Game Development » Release Announcements · Posted in Huenison landed on itch.io! Originally Huenison was supposed to be released also on physical media, but the idea was evenutally put aside. 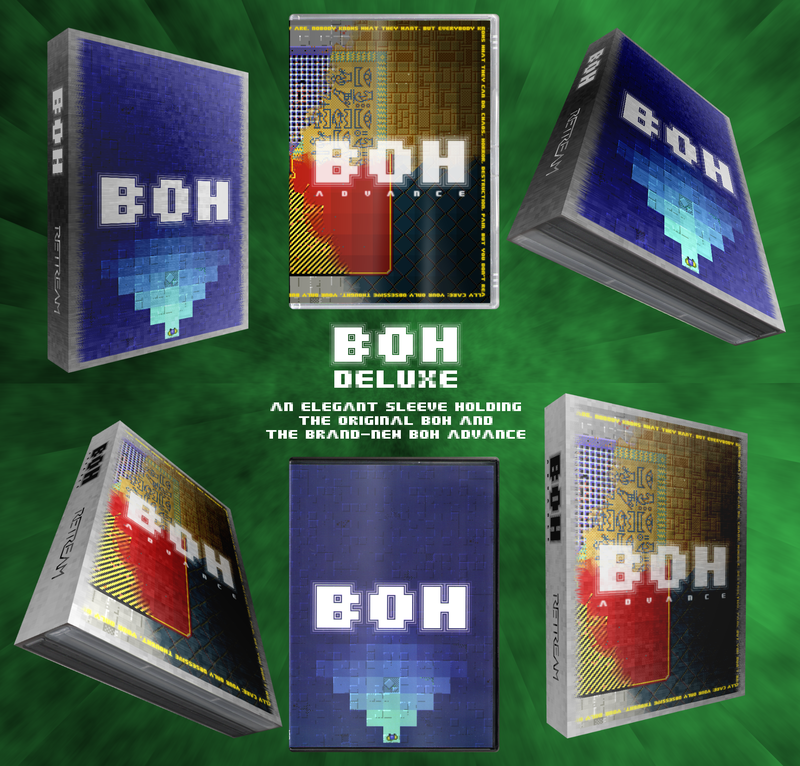 Now was an appropriate time to finally make it happen: releasing it together with BOH Deluxe allows people to get both in one go and thus save on shipping expenses. itch.io Community » Game Development » Release Announcements · Posted in BOH landed on itch.io! The massively improved and extended version of MAH has just been released! Check it out at https://retream.itch.io/mah and enjoy! If you have an Amiga (emulator) up and running, just grab it (it's free) and have fun! touched up "about" screen; * recompiled against updated custom framework. I simply rotate the background with the source center being the position of the character controlled by the player and the destination center being the center of the screen. The character itself is drawn after the rotation, always at the same position (i.e. the center of the screen). Unfortunately, pixel art is, as the words say, an art, so there is nothing like a tutorial that can cover it and turn anyone into a master. It's an art because it requires knowledge of the art of drawing and the technique of managing pixels and small palettes. The best place where to go is http://pixelation.org/ - read as much as possible, understand the philosophy of the place, learn about the terminology and the concepts, watch the videos, do a lot of practice, and use the critique/help of the geniuses over there to improve. Ah, I see what you mean about the resolution. Yes, what you suggest is theoretically doable. This is what happens now: render field at 1x -> rotate enemies -> render sparks -> rotate bitmap -> render main character, aiming tool beam, and HUD -> zoom bitmap (and, at the same time, apply CRT/LCD filters, if needed). Your idea would need: pre-render zoomed font and main character -> render field at 1x -> render sparks -> rotate and zoom bitmap -> rotate and zoom enemies -> render main character, aiming tool beam, and HUD -> apply CRT/LCD filters, if needed. The sort of linear interpolation I use can be applied also to your idea without producing blurry results: it would simply smoothen the edges between pixels and it would look great. rendering is 100% software (because I like doing this sort of things and I did not want dependencies on hardware/libraries, especially considering that the game runs on several different systems) and, at the same time, the game is made to run nicely also on 15 year old AmigaOS machines, which thus wouldn't have enough grunt to handle so much data at a decent speed. Therefore, I'm afraid your idea is not going to make it :/ But thanks for suggesting it, it's a nice one! Enjoy your next missions: as you play them, you'll find more and more surprises. Also, if you haven't already, please check the dots modes in the options: they allow to change the size of pixels and also the filters applied to them. (BTW, no, it wouldn't be necessary to touch the missions layouts - if you have a look at the developer's manual, you'll understand why). New levels: do you mean you have already finished all the 77 levels included in this version?!? :o I see you have bought the game very recently, so that would be quite an achievement! I'd appreciate if you submitted your records to the online standings. The camera system idea (i.e. the fact that the character is fixed at the center and all the rest rotates around him) came from the coin-op Formula 1 game Tail to Nose (it's mentioned in the TRIVIA section of the user's manual): my teenager mind was blown away when I saw that concept in an arcade in the 90s. The tile-based lighting idea came from the RPG Shadowlands I saw once on a PC (again in the 90s and again mentioned in the user's manual). The tile-based field of vision idea came... came... from nowhere, or at least I can't pinpoint any influence (that is, I came up with it myself). 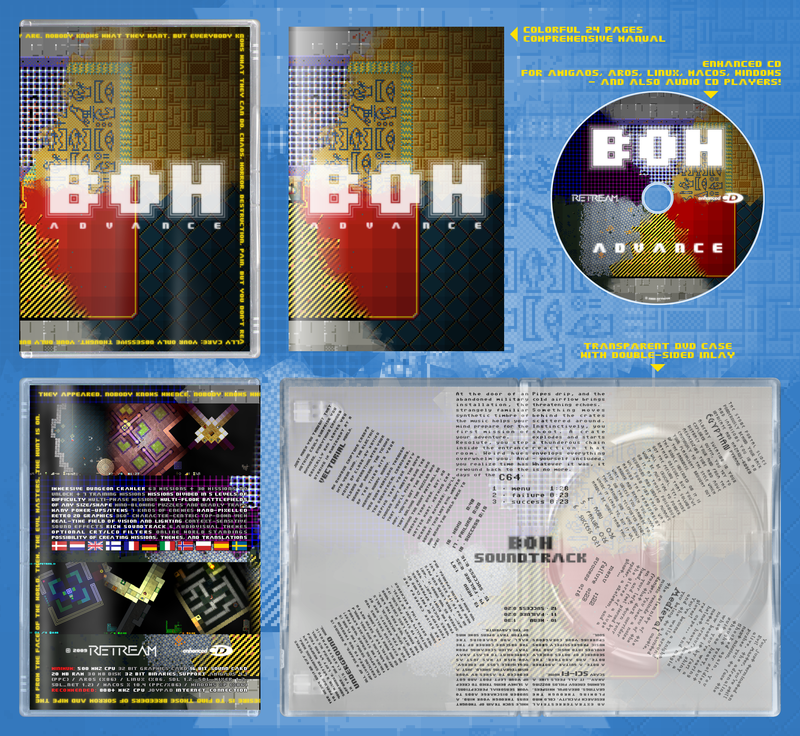 My next games will be totally different (the one being worked on is a multi-level version of QUOD INIT EXIT IIm for the C64), but I have also a 100-mission version of BOH in the plans (it will be free for current customers; several missions are done already). 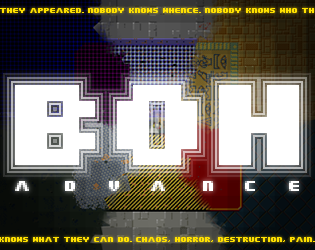 After one month of hard work, finally the latest version of KOG landed here on itch.io! This is an almost complete rework of a game originally released in 2008: most of the code has been rewritten, all graphics have been redrawn, music has been added, and gameplay has been extended and re-balanced. 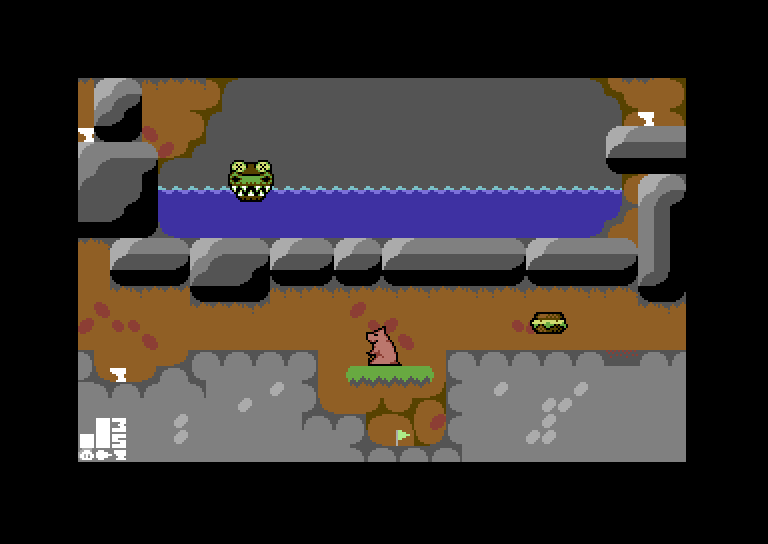 QUOD INIT EXIT is a funny and cute platformer for the Commodore 64 which distinguishes itself for the immediate gameplay and its super colorful and high resolution graphics. You don't need to be a C64 user/expert to enjoy it: it comes also as a regular installer that allows to install it as if it were a native application. Version 1.0 was released in 2010, and today sees the release of version 1.7. With the occasion, the game has been released also here on itch.io. It's the sequel of QUOD INIT EXIT (hence the II), originally released in 2010 (I plan to release that game here as well). It fits in 16 kB, and that's where the m in the name comes from: m = minimus (so the full name reads QUOD INIT EXIT SECUNDUS MINIMUS). 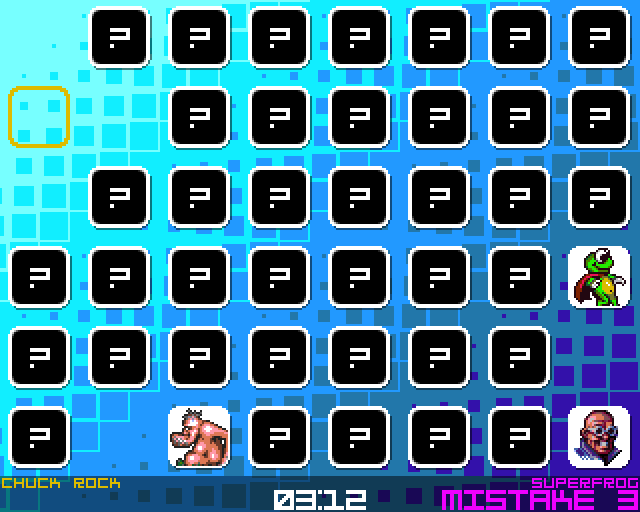 I'm working on a multi-load version that isn't restricted to 16 kB (but that will take a looong time). itch.io Community » Game Development » Release Announcements · Created a new topic Huenison landed on itch.io! 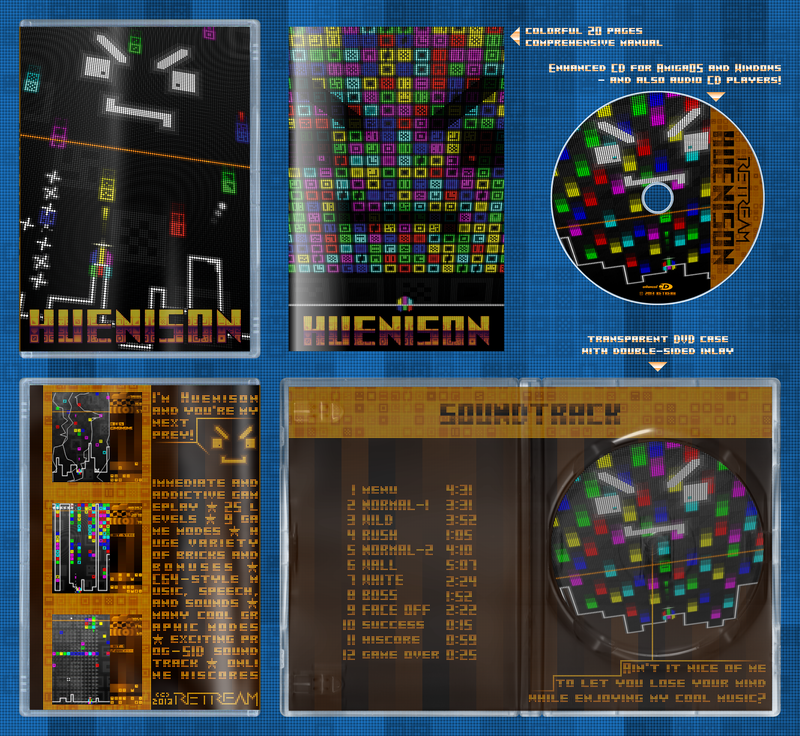 Huenison has just been updated and, with the occasion, has found a new home here on itch.io - just have a look at the page to discover all the many features, download the demo, watch the videos and the screenshots, listen to the music, and, of course, buy the game. Should Huenison's originality and depth puzzle you, please feel free to ask questions here or by email (huenison@retream.com). itch.io Community » Game Development » Release Announcements · Created a new topic BOH landed on itch.io!